The event is always one that emphasizes participatory and community video more broadly and this year the cellphilm festival featured a talented panel from the Université de Montréal: Dr. Thora Hermann, Ariella Orbach, and Iphigénie Marcoux-Fortier (Université de Montréal) discussed their work on a community film-making research project entitled The Power of the Lens which, in part, explores the process of (re)building community on ancestral Indigenous lands. Their presentation included three short films directed by their project community’s researcher-filmmakers: Ince Ka Mogetun from the Mapuche Nation in Wallmapu (Chile), Nuestro Hogar from the Embera nation in Panama, and Hanna Boade Gaddaj from the Sami nation in Sapmi (Norway). The films exemplified communities’ efforts to uplift and strengthen the power of storytelling, identity and deep connections to land in the face of marginalization by the dominant society in unique ways. Ince Ka Mogetun, narrated by a young girl relearning to speak in her native language, followed her and her mother’s journey back to their ancestral land and the customs, relationships and ways of knowing woven through it. Nuestro Hogar portrayed the political struggles of the Embera people of Panama whose collective land right claim has been denied in a government ploy to flood their lands for a hydroelectric project. The film poignantly highlighted their continued solidarity and resolve. Hanna Boade Gaddaj from the Sami nation was an intimate portrayal of a small community yarning through stories of language revitalization related to the creation of a Sami daycare. The stories returned to the metaphor of the Hanna, known as the Cacaoui in Québec, that travels to the South but always returns to his homeland in the Arctic North. 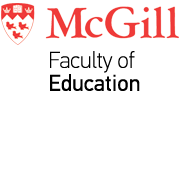 The McGill Art Hive Initiative, the Participatory Cultures Lab, and the Institute for Human Development and Well-Being would like to extend their gratitude to all who participated to make this event a success and especially to Stephanie Pizzuto for coordinating the competition.